A Paul Winter Solstice Concert 2015 Celebrate the return of the sun with the 35th annual Winter Solstice concert, captured live in the majestic Cathedral of St. John the Divine. 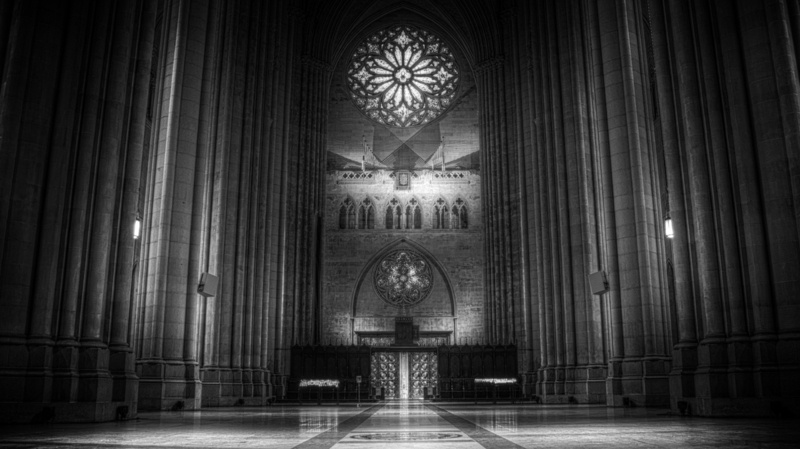 The Cathedral of St. John the Divine in New York City. For many, the sound of Paul Winter's sax ringing out in New York's Cathedral of St. John the Divine has become an annual marker of the Winter Solstice and the holiday season. But this year's Paul Winter Solstice Concert kicks off with the cuatro, a member of the mandolin family and the national instrument of Puerto Rico, played by Pachito Vega, as he performs with Danny Rivera, the man they call the national voice of Puerto Rico. Rivera is Paul Winter's special guest for the broadcast of the 35th annual Winter Solstice concert. The concert also features American gospel singer Theresa Thomason and the Forces of Nature percussion ensemble, with sounds from African, Caribbean and European traditions — the mix that formed the sound of the Americas. This concert will ring out across North America via an annual NPR broadcast with WNYC New Sounds host John Schaefer. So settle in and join the global village for this year's edition of Paul Winter's Solstice Celebration.